Designing public wayfinding systems has never been so complicated – or so integrated with the identity of the city. As well as the usual issues of site, content, materials and style, designers are increasingly having to consider incorporating interactive elements, and, in particular, speaking signs for the visually impaired, as part of a new crop of city-wide projects. Wayfinding systems now aim to not only tell you where you are and what direction you need to go, but also how you can get there, how long it’ll take and what time the next train or bus will be along. Inspired by the success of Bristol’s Legible City wayfinding system, more councils are redesigning their signs as part of an integrated wayfinding strategy. Liverpool has commissioned Fitch London to design a new system and is separately also planning a series of interactive street information kiosks, while Norwich has appointed Anderson to come up with an environmental graphics strategy as part of the European Union-funded Liveable Cities initiative. This scheme also involves Lincoln, which is currently implementing its own new signage system. And while not all these cities will be incorporating interactive elements, it’s certainly moving higher up many sign clients’ agendas. ‘Clients always say “we want you to investigate interactive technologies”,’ says Richard Nicoll, design director at Anderson, which is also implementing a new sign system for the City of London’s Broadgate. ‘My problem is the reliability and the content. I’m desperate for someone to invent a system that I could recommend to my clients.’ He believes that interactive technology for public information will soon be provided by hand-held technology rather than within wayfinding systems. Similarly, Tim Fendley, who at MetaDesign London designed Bristol’s Legible Cities system, decided against incorporating digital technology in the sign system. ‘We avoided the digital approach because we can’t trust how it’ll deliver information,’ he says. But there is an immediate valuable role for audio-visual signs. Sam Gullam of product design group Lacock Gullam, which has been working on the Legible City project for five years, has been developing an infrared signage system with the Royal National Institute for the Blind’s Joint Mobility Unit. A pilot scheme is planned later this year in Bristol with 20 units installed by Christmas. Such devices aren’t only useful for those with impaired sight – Liverpool hopes that its interpretation panels will speak in eight languages for two minutes each. Anyone would think it was a case of wartime sabotage when it came to the city-centre signs in Liverpool. An audit by Fitch London found that all but a handful of 80 key directional signs were either pointing in the wrong direction, due to a design fault that made them easy to alter, or had been vandalised. Small wonder that, with Liverpool’s now-successful bid for 2008 European Capital of Culture underway, the city council began to think seriously about improvements. As well as the basics of getting the direction right, this meant conveying information about the history of the city and its current regeneration within a consistent, branded system. ‘It’s not just about traditional signs that get someone from A to B, but also about getting someone from A to B while picking up information about the city and other places they might want to go to in the process,’ says Stephen Green, client director at Fitch London. At the same time, he aimed to convey some of the ‘inherent qualities and values’ of Liverpool. Fitch London’s strategy – Connecting Liverpool – identified the location and content for 80 fingerposts, 20 interpretation panels at key locations with audio information for the visually-impaired and 20 hub points with maps. 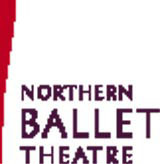 Directional text is screen-printed in Info Text against purple. The signs, manufactured by Wood & Wood, will be made from reconstituted Portland stone – popular in the city – and stainless steel, in a form inspired by transatlantic liners. These are cast with the city’s Liver bird symbol subtlely low down the sign structure – while heritage was important, the aim was to reflect Liverpool’s current regeneration. A robust vitreous enamel graphic panel incorporates maps shown north-to-south, unlike at Bristol, where they are oriented in the position the reader is in. 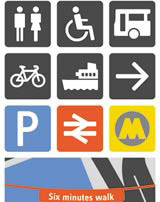 These maps include 3D building icons in yellow on grey to aid orientation and are replicated on the www.visitliverpool.com website. ‘The structures are quite modern as befits a forward-looking city like Liverpool,’ says Blundell. All signs will be installed by late spring 2004, well in time for the 1.7 million additional visitors expected in 2008, which should really put the £500 000 sign system to the test. Pentagram partner John McConnell’s elegant cast bronze signs for the 13ha Broadgate development in the City of London are a hard act for anyone to follow, lending an instant air of gravitas, to the new office complex. Now with 30 000 employees, Broadgate was designed in the late 1980s. Since then, there has been considerable development in the surrounding area and owner British Land decided a new, more flexible sign strategy was needed to take this into account. It commissioned architect SOM, project management group M3 and design consultancy CDT Design to come up with new signs, then asked Anderson to audit the proposals. Anderson’s conclusion was to work with CDT’s graphic identity for Broadgate, but develop a new signs system to accompany its application. ‘We had no problems with the graphics, but major problems with the strategy,’ says Anderson director Richard Nicoll. Anderson’s designs simplify the monolithic structures – being made by Drakard & Humble – by making them two-sided rather than the proposed four-sided. The rolled steel cladding has a glass aperture for changeable graphics (unlike Pentagram’s original, where graphics were etched into the bronze) and is internally lit to give a glowing blue edge to the stainless steel fin. Another key change was the incorporation of maps oriented in the direction that you are looking at. In the new scheme’s graphic hierarchy, key destinations are included in the blue graphic panel high up the post while more detailed lists and the map is further down including all destinations. The font used for the information is Franklin Gothic. ‘It works for people who are passing and want to know where they are. You can approach it and take enough information from the top of the sign to help you on your way, but if you want more detailed information you stop at the map,’ says Nicoll. Fingerposts carry blue-finished, tapered aluminium panels with destinations beneath the street location and Broadgate branding. Two prototypes are currently being tested in situ. All 20 elements are due to be installed by the end of August at entry points to the estate and at key decision points. The signs project is part of a £40m upgrade by British Land of Broadgate’s public realm.